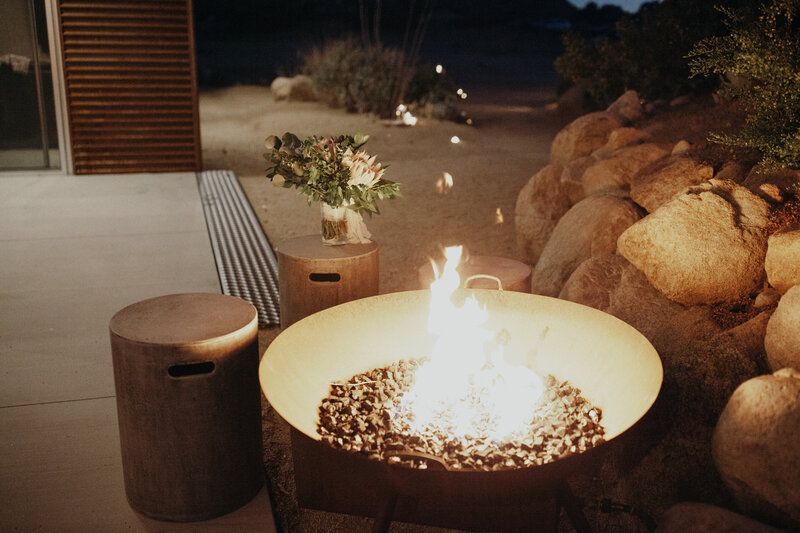 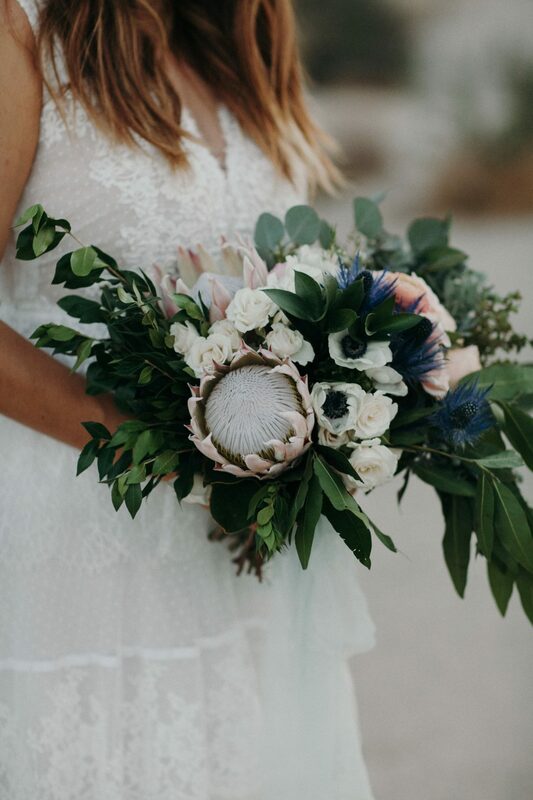 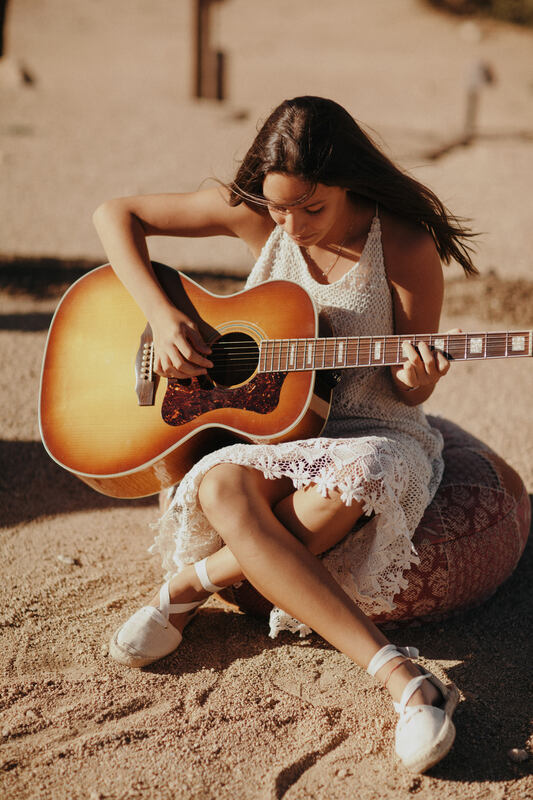 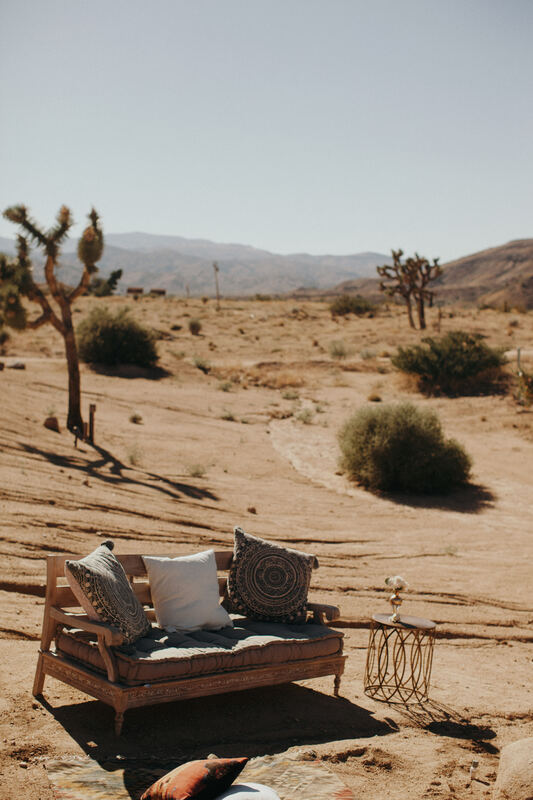 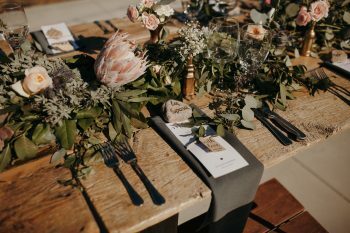 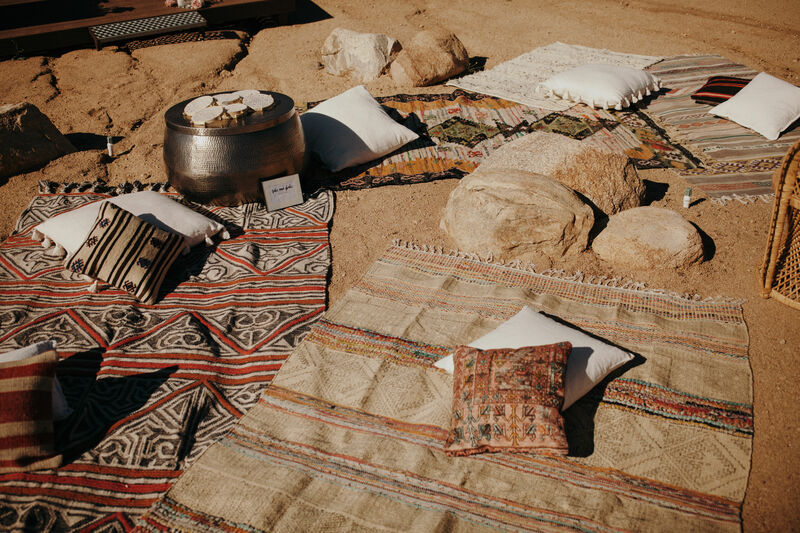 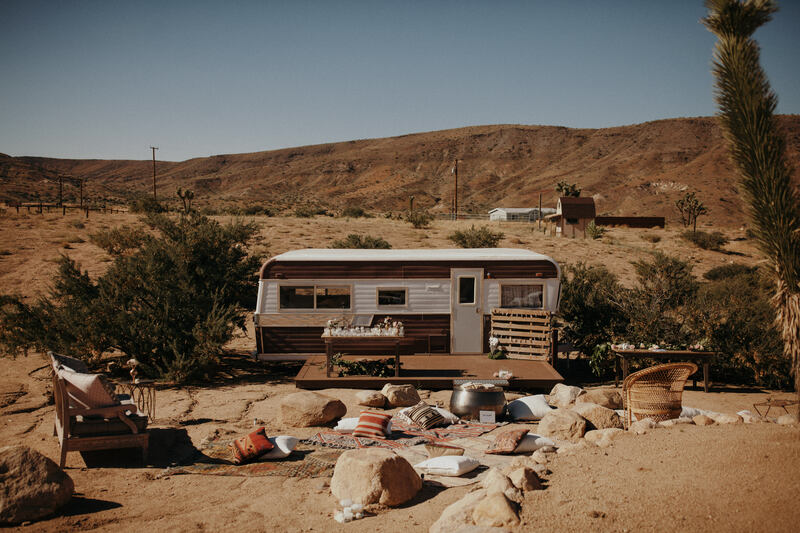 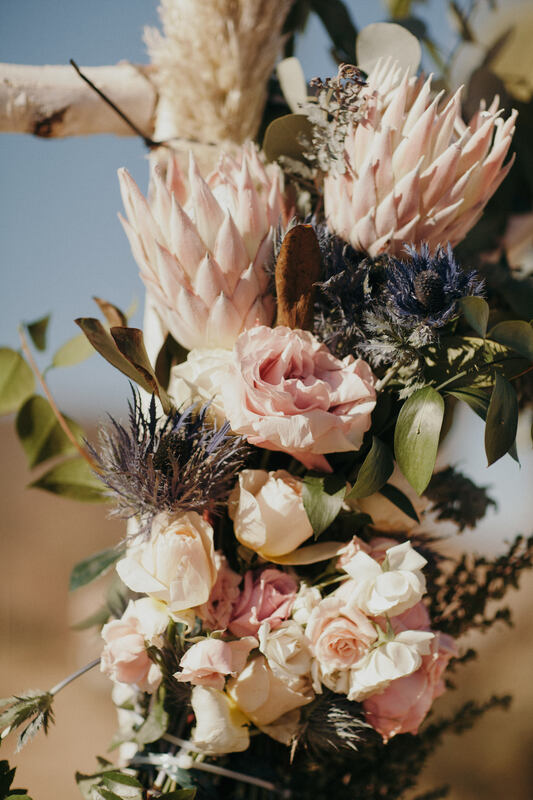 Boho Wedding | Destination Wedding Planner | Pioneertown California- Desirable Events by Desi travels to the destination of choice for full planning. 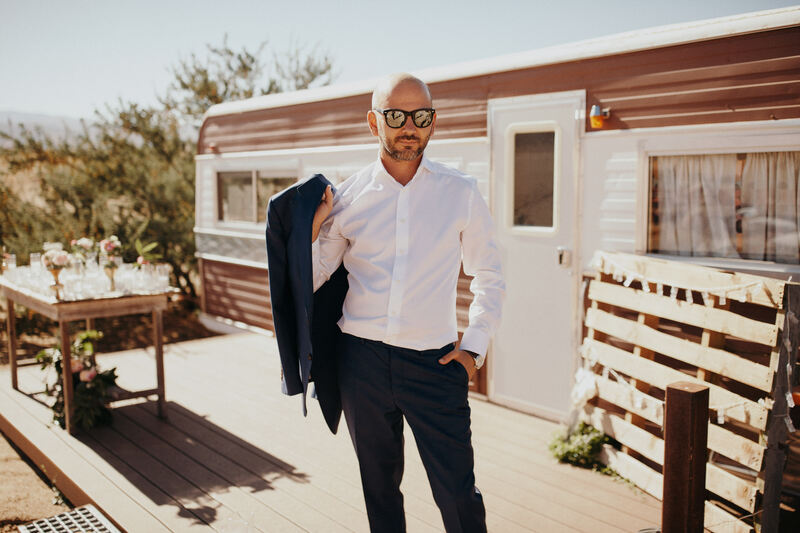 Nicoletta & Mirko traveled from Italy for their destination Boho Wedding in Pioneertown, California private home. 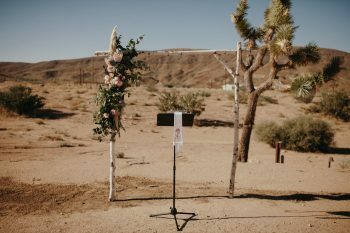 The ceremony took place with mountains and Joshua trees as the backdrop. 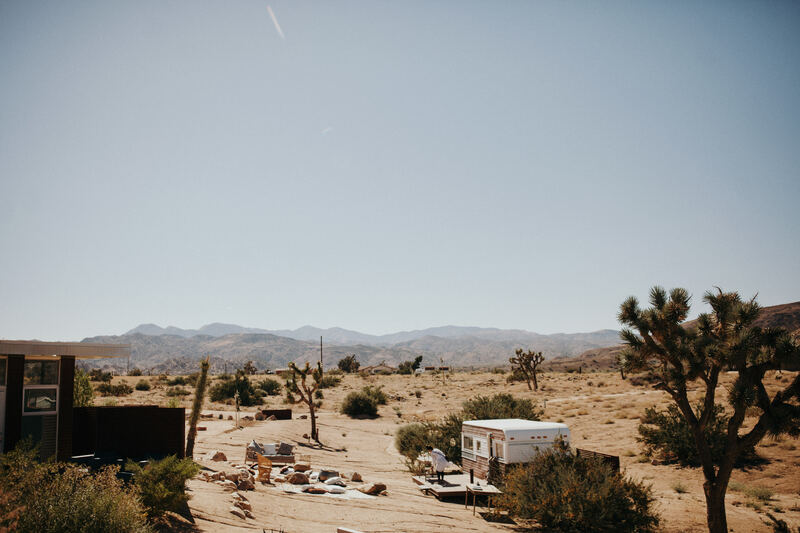 The natural landscape alone makes for the perfect breathtaking view along with the gorgeous weather. 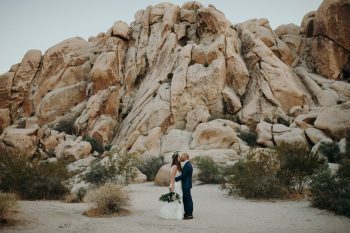 After the ceremony, Nicoletta and Mirko toured the Joshua Tree State Park for portraits while the guests enjoyed cocktail hour. 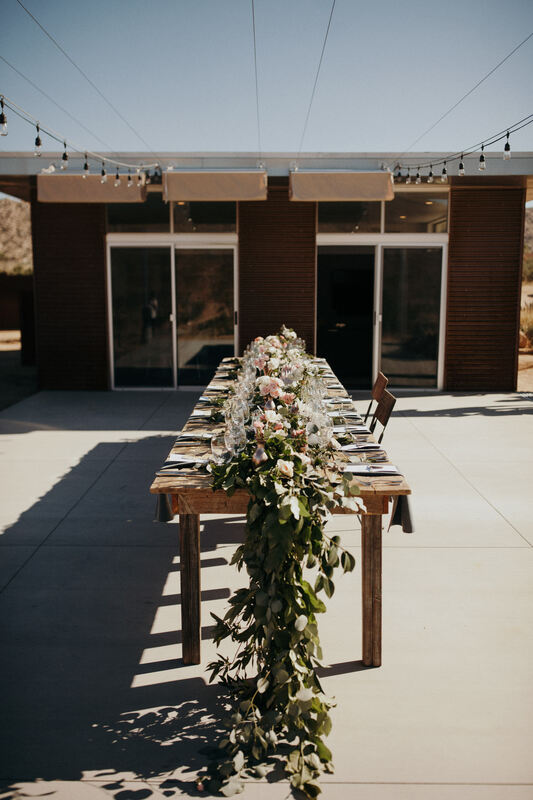 The cocktail hour and reception took place on the patio of the home. 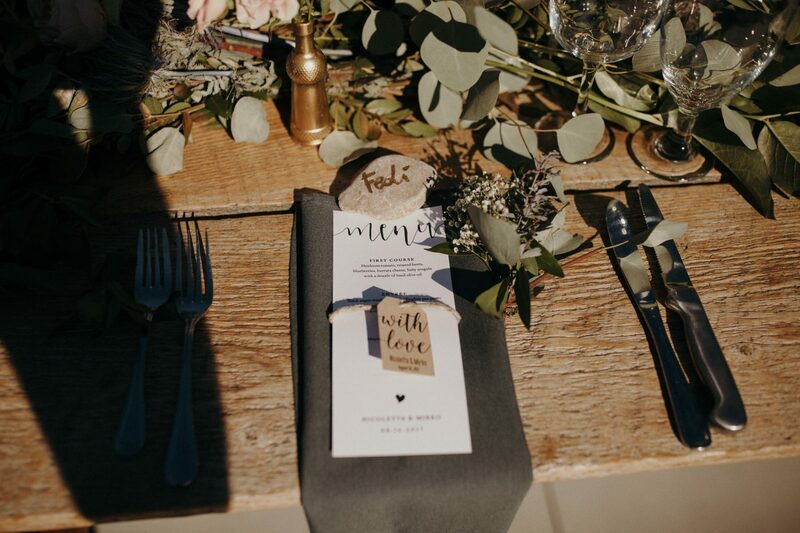 This was the perfect fit for their guest list of around 20. 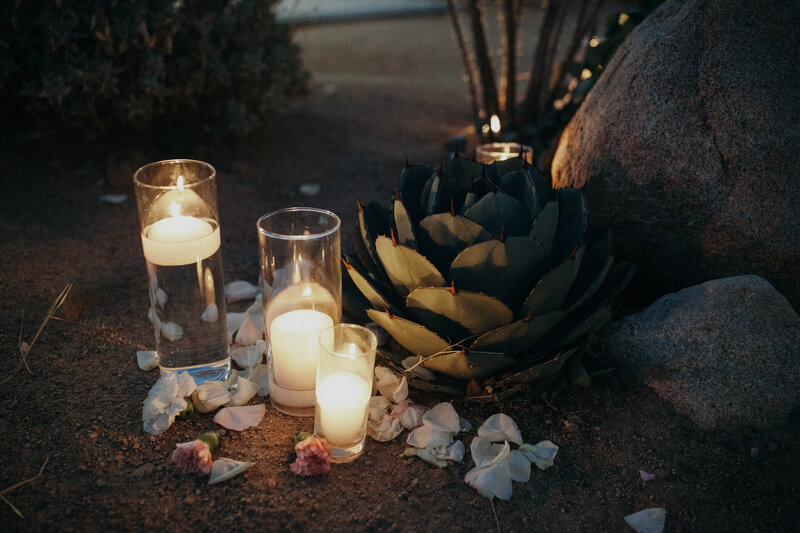 The dinner had dinner under the bistro lights already part of the home to offer the perfect romantic ambiance. 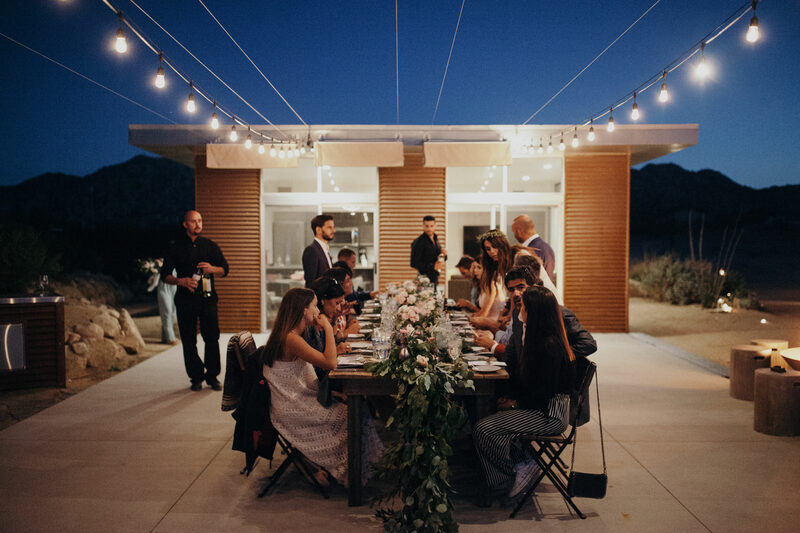 Following dinner, all the guests lounge around on bohemian rugs and poufs, grabbed a custom tambourine, and listened to live music from Natalie Gelman. 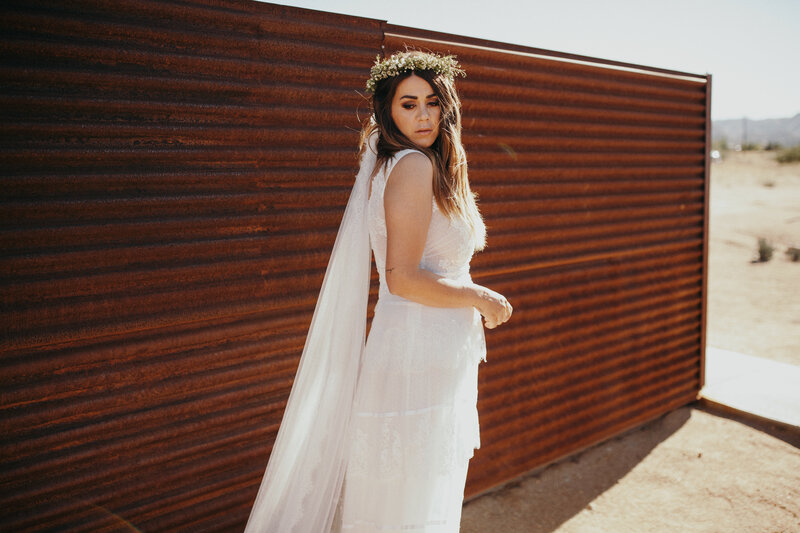 Nicoletta looked gorgeous in her bohemian wedding gown and veil. 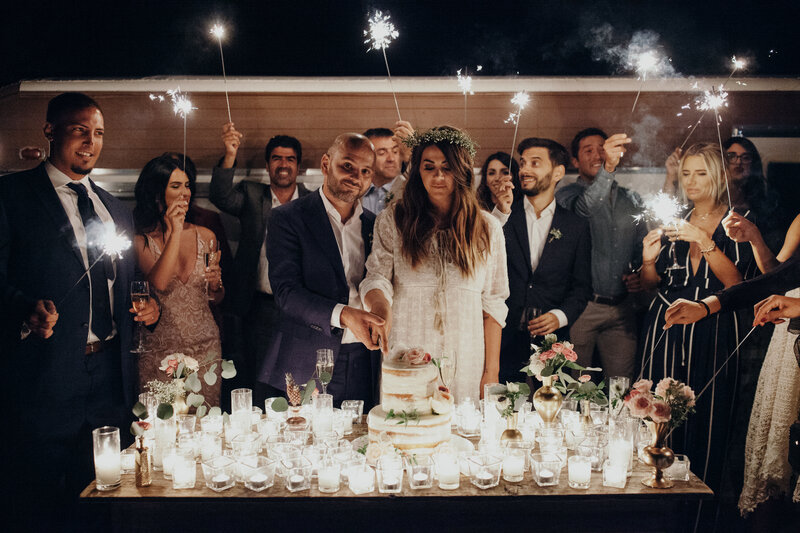 This wedding was also featured in Elle Magazine. 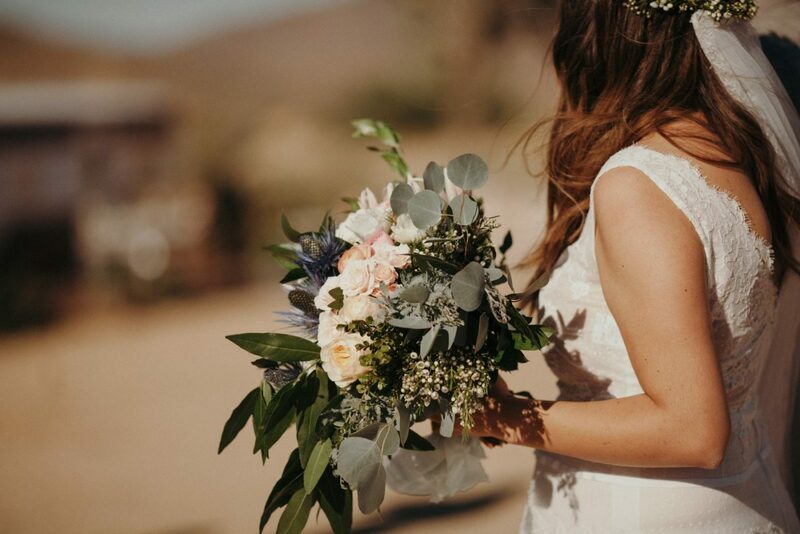 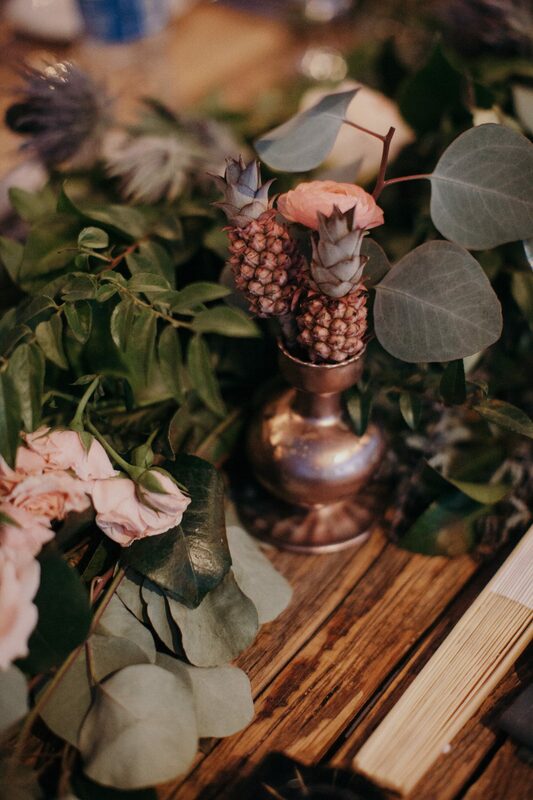 If you want to see more photos and have your dream Boho Wedding here, contact us to begin planning.